Lately, I have been having visions of hosting a summer dinner party, complete with hanging lanterns in the moonlight and a dreamy playlist of old tunes like La Vie En Rose and Stardust by Louis Armstrong, Isn’t it Romantic by Ella Fitzgerald, and Polka Dots & Moonbeams by The Four Freshman. See, I really have this all planed out! 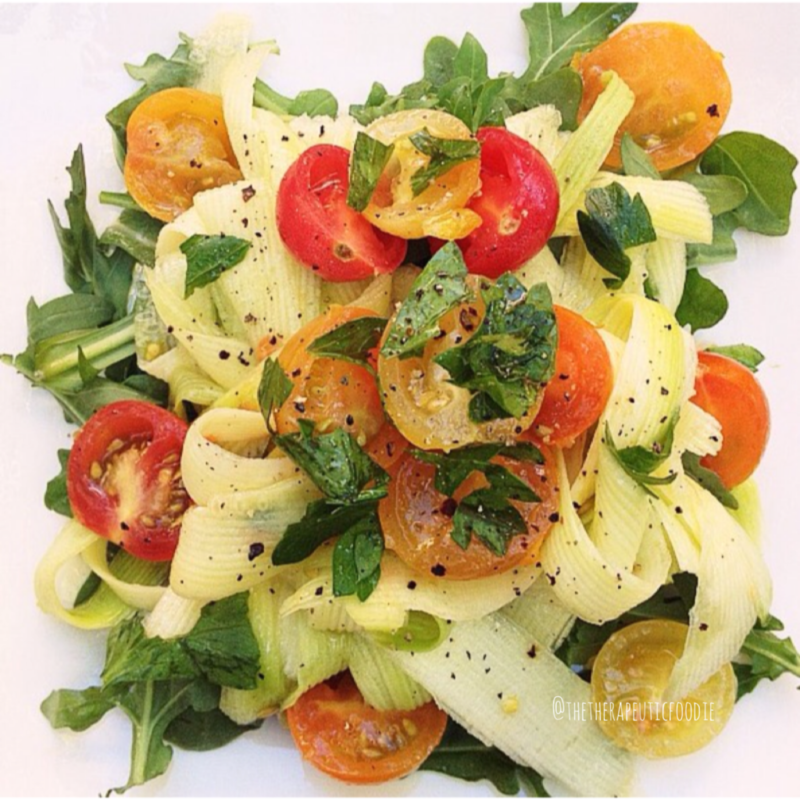 This Zucchini Ribbon Summer Salad would be on the menu, as the zucchini ribbons make for an easy and elegant presentation, and also celebrates the season beautifully. In a mixing bowl, peel the zucchini into thin ribbons using a veggie peeler. Mix in the cherry tomatoes, garlic, lemon juice, and olive oil. For plating, add 1/2 cup of arugula to each plate to serve as bed of the salad. Plate salad over bed of arugula, and add chopped parsley, and freshly ground pepper to taste.